Karla is a financial advisor at McCullough and Associates, LLC as well as a CERTIFIED FINANCIAL PLANNER™ practitioner. Using financial planning solutions designed to support your financial well-being, Karla will work with you to develop a customized strategy centered on your objectives. In 2017, Karla earned her Accredited Investment Fiduciary (AIF®) designation from the Center for Fiduciary Studies™. The AIF® designation signifies specialized knowledge of fiduciary responsibility and the ability to implement policies and procedures that meet a defined standard of care for a client that is in their best interest. Karla is a Registered Representative of Cetera Financial Specialists LLC, and an Investment Adviser Representative of Cetera Investment Advisers LLC. She received her Bachelor's Degree in Finance from Missouri State University. Karla also holds her insurance license in order to help with your life insurance, disability insurance, and long term care insurance needs. 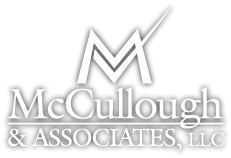 Karla joined McCullough and Associates, LLC in 2011 and has over 18 years of experience in finance which includes small business and corporate finance as well as personal financial planning services. She is a current member and former board member of the Greene County Estate Planning Council. 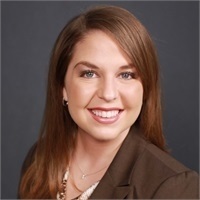 Karla is also a member of the Community Foundation of the Ozarks' Professional Advisors Council and The Network for Springfield's Young Professionals. In her spare time, Karla enjoys spending time with her family and friends, cycling, golfing, and scuba diving. Financial planning is a dynamic process. Your financial goals may evolve over the years due to shifts in your lifestyle or circumstances such as an inheritance, career change, marriage, house purchase or a growing family. As you begin to consider how best to manage your financial future, you should feel confident knowing that with a CFP®professional, you’re working with someone committed to providing the highest standard of financial planning.